Last year, Pentagon mad science arm Darpa was working on one of its wildest projects yet: a microchip-sized nuclear reactor. The program is now officially done, the agency says. But these sorts of far-out projects have a habit of being reemerging under new managers and new names. Chip-scale integration offers precise, micro actuators and high electric field generation at modest power levels that will enable several order of magnitude decreases in the volume needed to accelerate the ions. 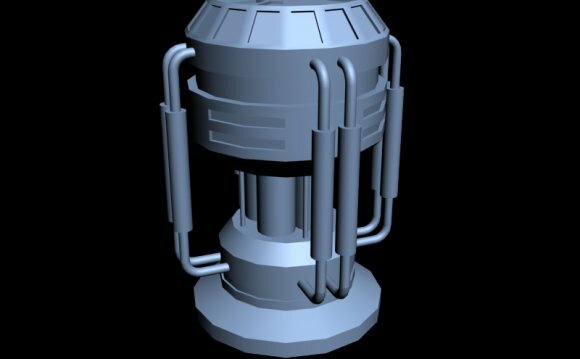 Furthermore, thermal isolation techniques will enable high efficiency beam to power converters, perhaps making chipscale self-sustained fusion possible. Achieving controlled nuclear fusion – the reaction that powers the sun – has been a dream for more than sixty years. Currently hopes are focused on the $13 billion International Thermonuclear Experimental Reactor (ITER). This is a giant “Tokamak” device, containing high-temperature plasmas inside donut-shaped magnetic fields. Construction started last year at Caradache in France; the plan is for ITER to produce its first plasma in 2018, and generate significant amounts of power (the target is five hundred megawatts) by 2026. In contrast, the Chip-Scale High Energy Atomic Beams project had a budget of just $3 million, and rather shorter timescales; the plans for fiscal year 2009 include: “Develop 0.5 MeV [mega electron-volt] proton beams and collide onto microscale B-11 target with a fusion Q (energy ratio) > 20, possibly leading to self-sustained fusion.” The energy ratio is the amount of power you get out compared to how much you put in. ITER has a design Q of 10, producing its output with a fifty megawatt input. The Darpa scheme would be twice as efficient.